Feeling angry, afraid or exhausted given the direction America is heading? 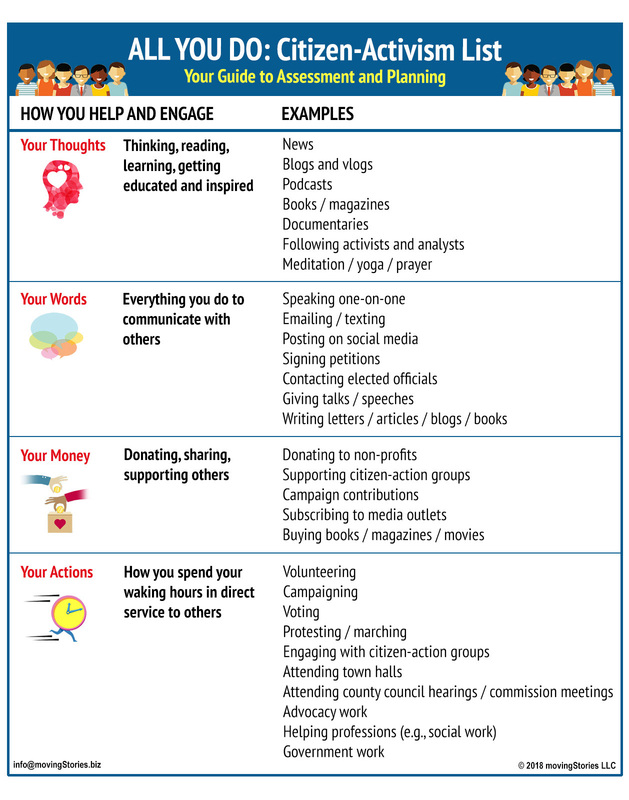 You can turn these negative emotions into fuel for citizen action and help bring forth a better America for everyone. 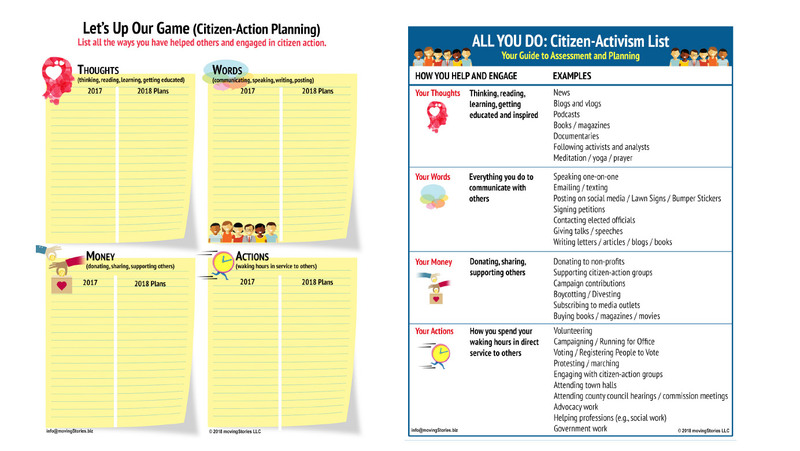 Use these worksheets to measure and/or plan to increase your citizen activism, comparing one year to the next or creating a brand-new plan for moving forward today. Need ideas? 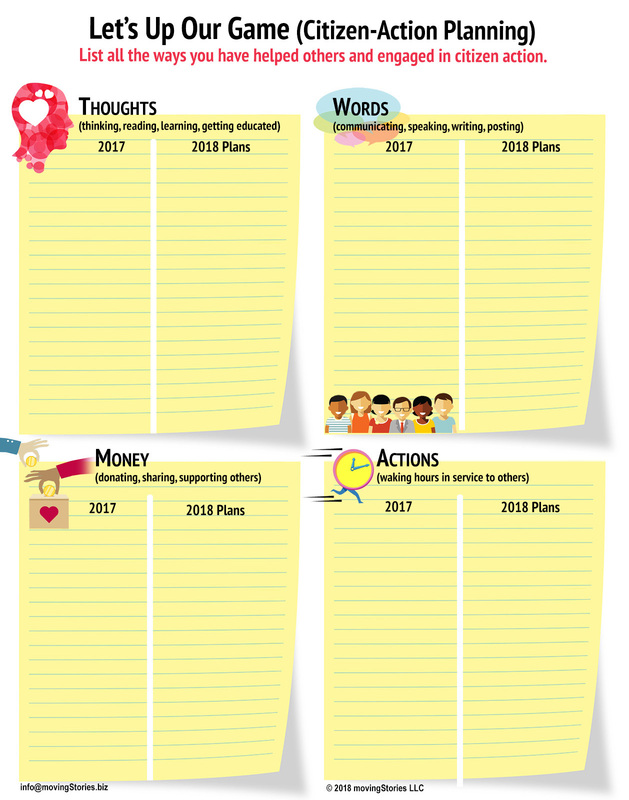 See this handy list of action items. Download and print these PDFs. Let’s get to work! The future always depends on what we do now. What are you doing today? © 2019 movingStories LLC. All rights reserved.